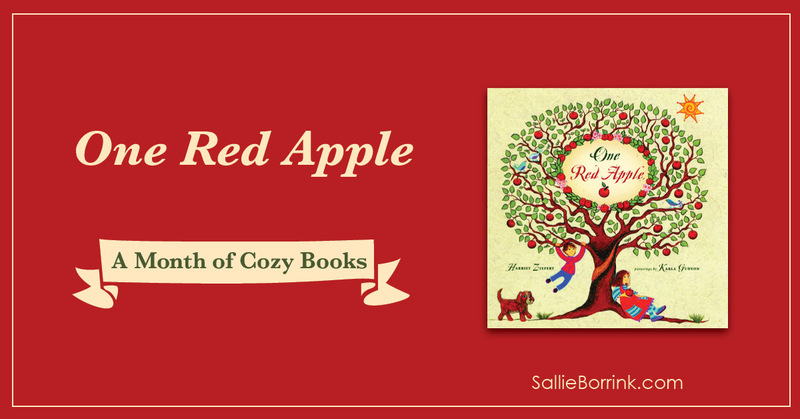 One Red Apple is a gorgeously illustrated book that traces the life cycle of an apple tree. Written by Harriet Ziefert and with paintings by Karla Gudeon, the book is a visual feast. This was one of those books that as soon as I picked it up in the children’s section, I knew it was coming home with me. The story begins with the picking of an apple. Each two page spread then focuses on another aspect of the distribution, buying, eating, and the eventual growth of a new apple tree. The text is very simple with the gorgeous illustrations telling much of the story. The pages are printed on heavy paper which adds to the richness of the entire book. The colors are vibrant and have a cozy charm to them. 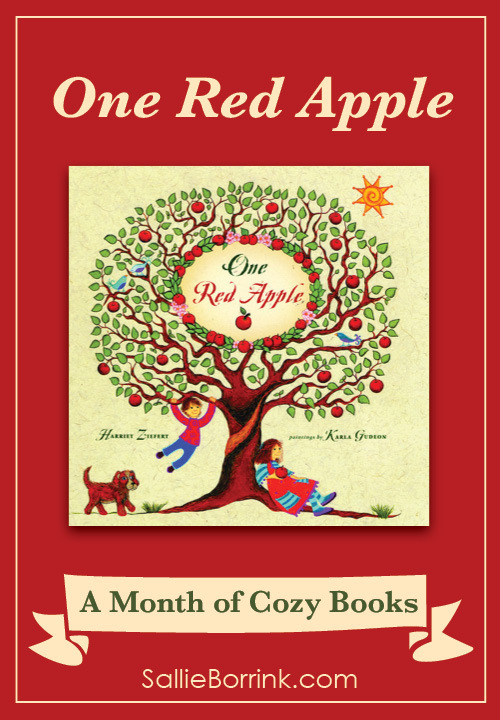 One Red Apple definitely belongs in a collection of cozy books!